George est une personne sympathique et très accueillant ! Le logement très bien situé à 3 minutes à pied de la plage et des commerces. Très propre, ménage et drap changé tout les jours ! Lit très confortable et au calme. George est venu nous chercher au port et nous y a ramené. George à facilité une location de scooter à un prix préférentiel. Paros est une très belle Isle et en scooter c'est l'idéale pour la visiter ! Je recommande vivement ! Senia Hotel has a beautiful view, they upgraded us to an amazing apartment like room, the breakfast was nice, the staff was so helpful and lovely to us in every way and the location gives easy access to the main road into Naousa. 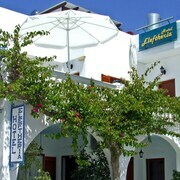 All in all, I would recommend it completely and we enjoyed our visit in Paros so much! Where to find Paros hotels near an airport? Where can I find hotels in Paros that are near tourist attractions? 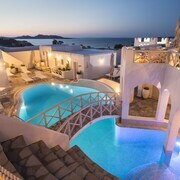 Expedia.ca offers a selection of 477 hotels in Paros. You are sure to find cheap deals and discount rates among them with our Best Price Guarantee. No matter what type of hotel strikes your fancy, we will let you search for your preferred one to accommodate your travel needs. 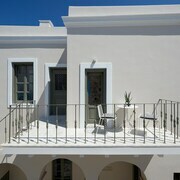 Expedia.ca will not only save you time, but also money when booking your stay at a hotel in Paros. Making reservations so you can stay within your budget is easy with us. Expedia.ca even provides you with a map so you may find hotels in the Paros neighborhood you prefer. Go ahead. Enter your travel dates to view the best offers on hotel rooms in Paros, South Aegean now! 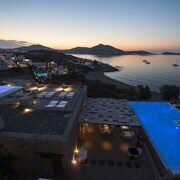 What are the most popular Paros hotels? 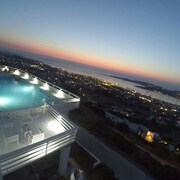 Are there hotels in other cities near Paros? What other types of accommodations are available in Paros? Explore Paros with Expedia.ca’s Travel Guides to find the best flights, cars, holiday packages and more!